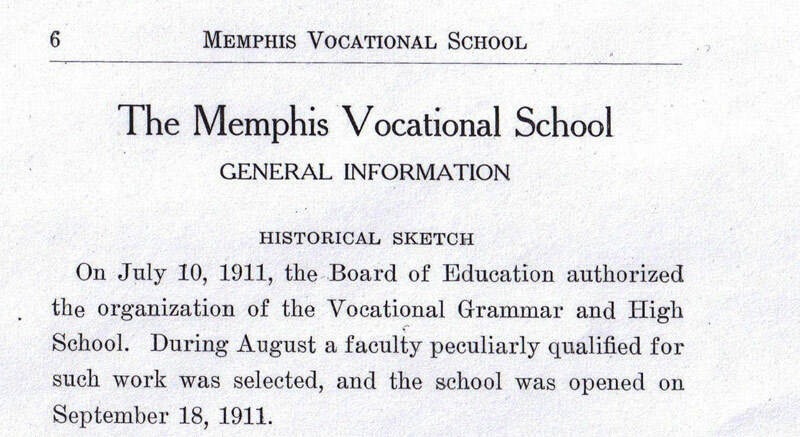 In the fall of 1911, two new high schools open in Memphis. 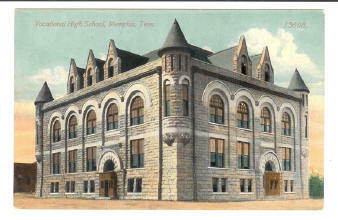 One opens in the Poplar Avenue building (the castle) and is named The Memphis Vocational High School. There is no doubt that this new school leads directly to Memphis Technical High School. The other new school that opened is named Central High School, opening in a new building on Bellevue, along with the staff from the old Memphis High School. 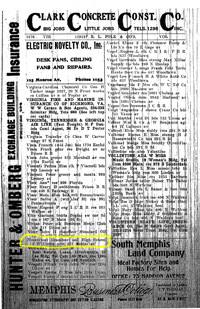 Central High School always claimed that it went back to Memphis High School in 1887. Yes it does, and so does every new high school built in Memphis since 1911, including Tech. However, Central was not a continuation of the Memphis High School - nor is Tech. Photos of the Vocational High School appear on "penny postcards" of the time. The MHS name was originally used when there was only ONE high school in Memphis. The Board of Education was keenly aware that the city was growing and that new high schools would be needed in all parts of the city. Their plan was to start with one new school and name it Central. At the same time they discontinued use of the MHS name because there would never again be just ONE high school. Central was not a "name change". It was a newly created school. 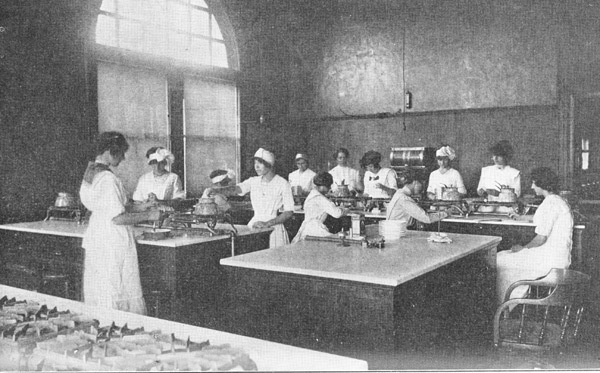 Central dates from 1911 - period. . (See articles at bottom of page). 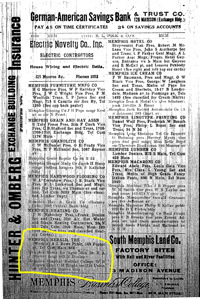 In addition, there are articles that The Board of Education created the new Memphis Vocational High at the same time as Central "to take the load off the new Central High, so that additional schools would not have to be built for some time" (See newspaper article below. 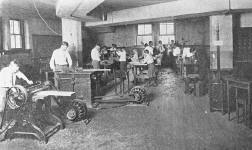 Anyone who wants proof about Tech's 1911 beginnings should read this article). This new school that takes over the 317 Poplar building is also the 1st public Vocational School in the U.S. 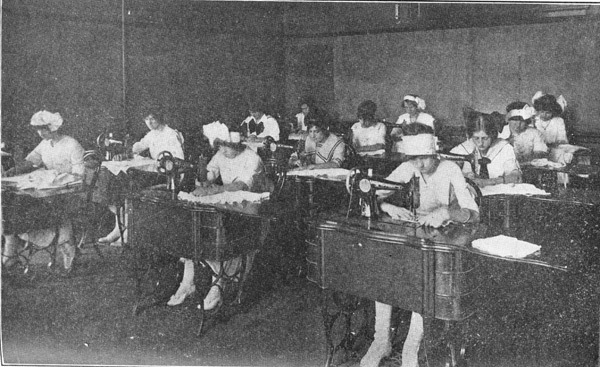 It will soon be called Crockett Vocational High, and in 1921 the name will be changed to Crockett Technical High, and in 1927 changed to Memphis Technical High. The 1927 Tech Sentinel newspaper article (below), states that "Tech goes back to a 1911 Vocational school". This article is further verification that the newly opened Tech High also believes its beginnings go back to 1911. Although Tech High can clearly trace its beginning to 1911 and no matter how much one school desires to be "first", the actual name Memphis Tech High does not officially begin until 1928 and the actual name Central High officially begins in 1911. 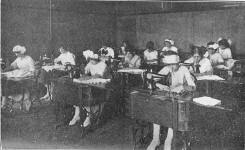 Below: These rare photos appear in the Board of Education Yearly Progress Books 1906-1918. In 1911, they identify the Poplar Avenue Castle as Vocational School for the first time. 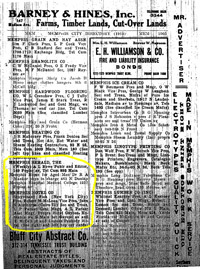 The text explains that the Vocational School "...was organized in the Poplar Avenue building that had been occupied by the Memphis High School, for so many years..."
The New Vocational School - 1911 More verification that Tech began in 1911 A different side of "the Castle"
Below are newspaper articles verifying the information. Click on the small fragments to see the full size. 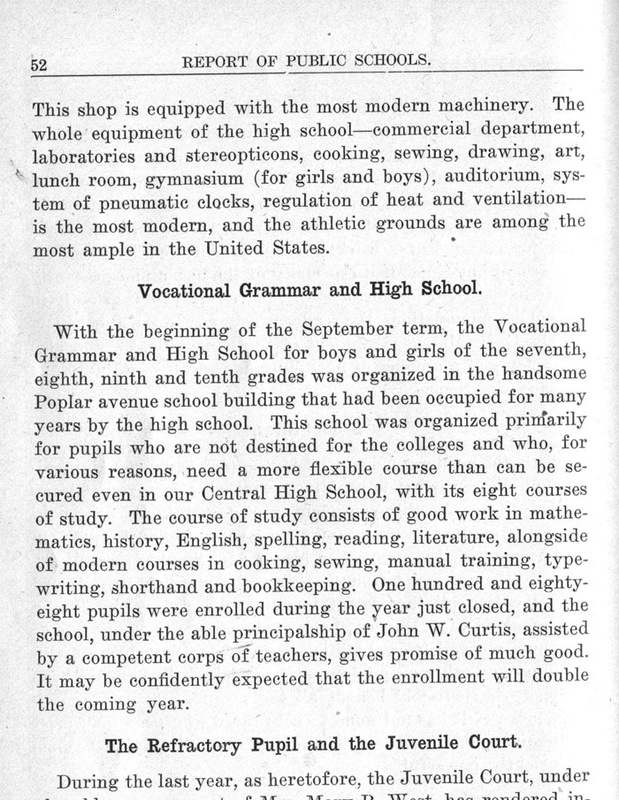 Below: This 1912 article describes various vocational courses offered - and mentions an enrollment of 400. 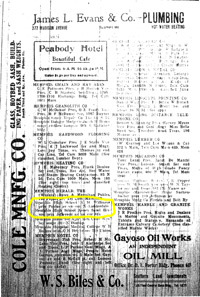 Below: Various Documents with evidence that "Tech" actually began in 1911 as a NEW school named "Memphis Vocational School"and although it occupies the Memphis High School building from 1911-1928, it did not grow out of that earlier school - nor out of the Hope Night School. 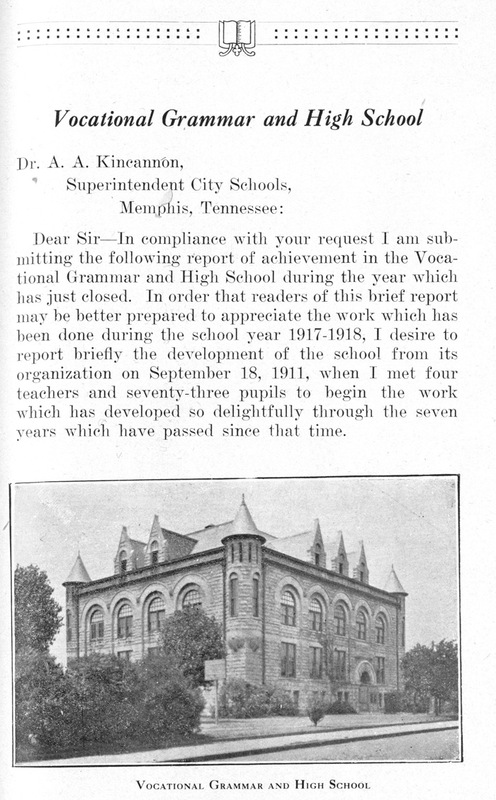 See Page 6 of the 1916 booklet printed by the Memphis Vocational School, which verifies that the school was organized (created) in July 1911 and that a facility (school building) was selected (the castle) and the school opened in September 1911. 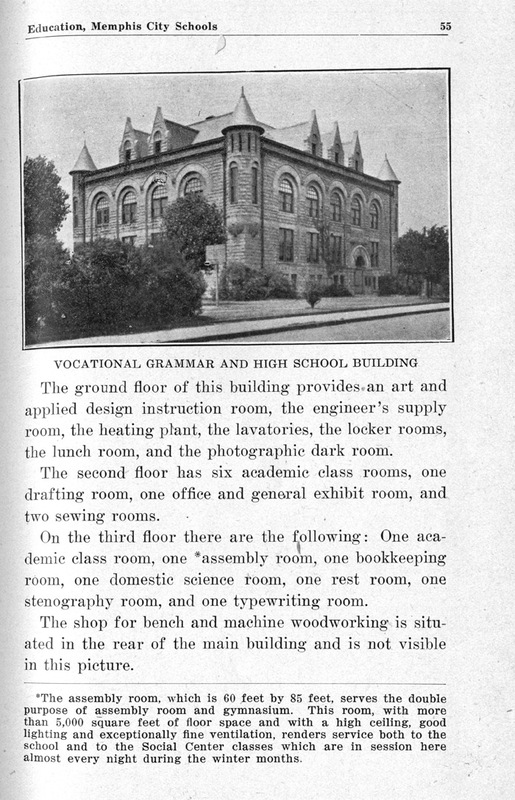 Below: This 1911 article describes the reasons the new vocational high school will open at the 317 Poplar building, because there's "No other use for it" and that this new School was created to take the pressure off the new Central High...etc. It further verifies that the NEW Vocational School is run by the Board of Education. 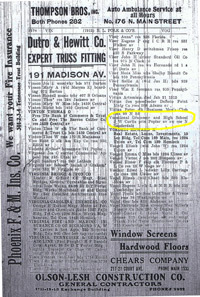 Below: This 1927 Sentinel, published by Tech when the new school opened, states that "It is a long way from the small vocational school of sixteen years ago to the most modern and up to date Technical High School in the south..." Take 1927 and subtract 16 = 1911, which would indicate that Memphis Tech believed it began in 1911 as "Vocational High School". 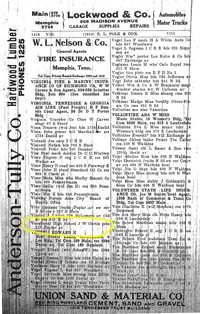 Below: Memphis Directories. 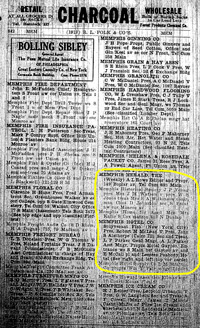 Memphis High School is listed in the 1911 Directory. 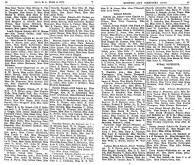 It is not listed in the 1912, 1913, 1917 Directories, nor in the continuing years. There is no more Memphis High School. The Directories were on Micro Fiche -so the quality is not good. Click on small photo for enlargement. 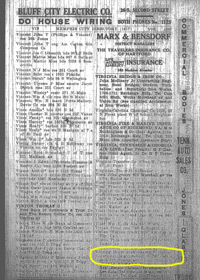 Below: Memphis Directories. 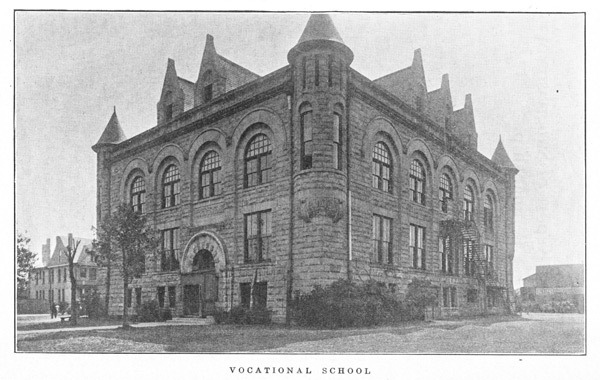 The new Vocational High School is listed in the 1912, 1913, 1914, 1917 Directories, and in the continuing years. 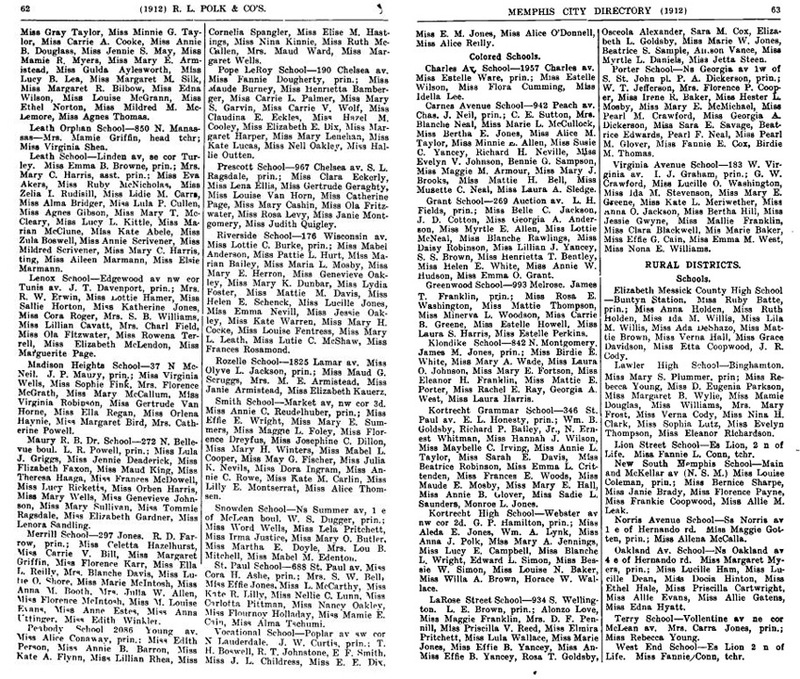 Directories are on Micro Fiche so quality isn't good. Click small photo for enlargement.